Homeowners with basements have their own set of moisture-related problems to deal with, and since many folks spend a good bit of time in their basements the general dampness, musty odors, mildew and other issues are even more evident. Coastal Dry Home carries two Basement Moisture Control & Ventilation (MCV) models: The HCV-BS-aVir with Electronic Sensor Technology and our Heavy Duty Basement Model HDS-209. Both are very popular in areas where this type of substructure is common, and they are designed to accommodate homes with basements of varying sizes and floor plans. 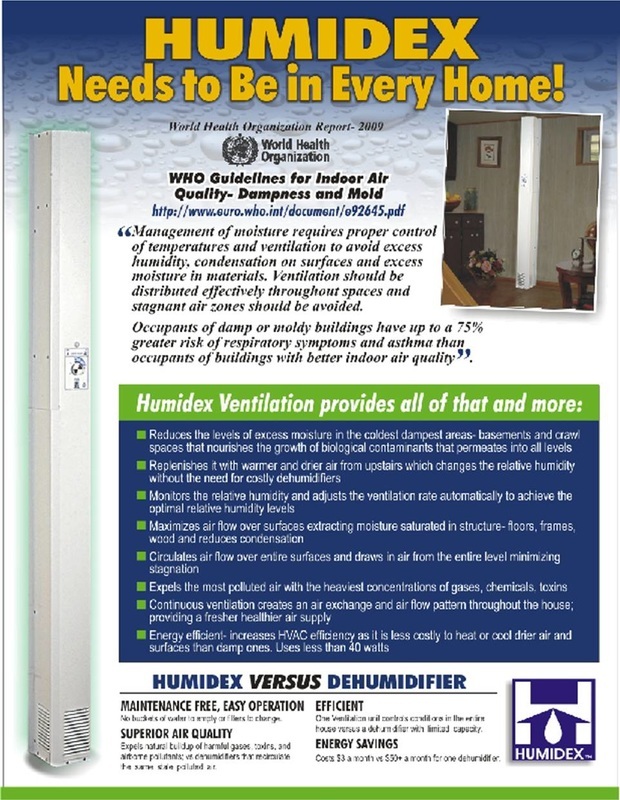 Both the HCV-BS-aVir and the HDS-209 follow the same mechanical process rules of moist air and toxin Expulsion, fresh, clean air Replenishment and whole house Ventilation as their crawl space counterpart. The units are equipped with powerful, quiet fans that move significant amounts of air with minimal energy consumption. Recognizing the unique needs of homes with basements and the fact that basements may have finished living space, these units are aesthetically pleasing, compact and discreet, designed to blend in with any decor, and they feature expandable height adjustments to allow flexibility in choosing the perfect spot for installation. > Width: 11", Depth: 7"
Contact Us for More Information on the UNS-209! Contact Us for More Information on the HDS-209!